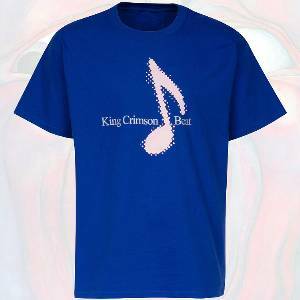 Blue beefy tee shirt, 100% cotton, showcasing the musical artwork from Beat. Show the world that the Gogos are not the only band who has the beat. From wolfgang binder of vienna, Austria on 2/21/2013 . From linus robinson of newport beach, California on 4/29/2011 . From Anonymous of DF, Mexico on 8/29/2010 . Beat in blue ? Be bold ..buy it ! From Anonymous of LANCASHIRE, England on 5/24/2010 .